Benny Friedman to Sing on Lag B’omer in Los Angeles! 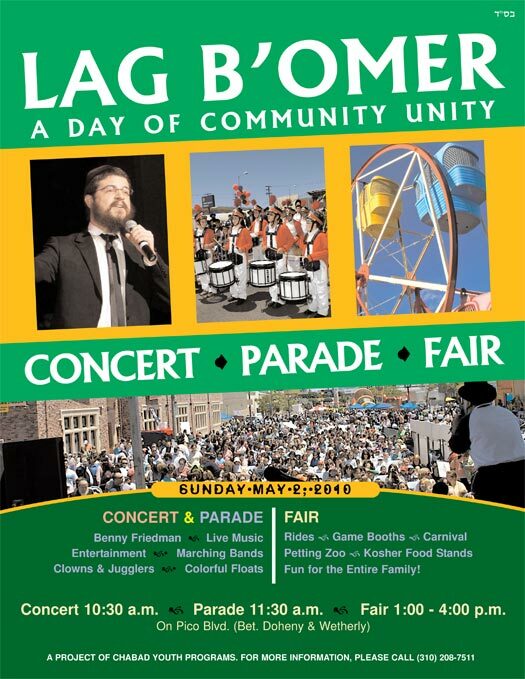 Sunday, May 2nd there will be a concert, parade, and fair in honor of Lag Ba’Omer in Los Angeles. They will have Live Music, Benny Friedman will perform, a marching band, clowns, jugglers, game booths, petting zoo, Kosher food stands, floats and much more!